I put together another sealed deck today with some friends at work. I wasn't as impressed with this one with my last pool. I thought that making a deck from this cardpool was particularly difficult. 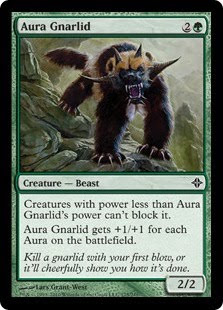 The Rares were all pretty much terrible in limited which meant there was no obvious color choice to go with. Hellion Eruption was the only thing that seemed interesting but I ended up putting it aside when I realized I was going to be playing with several levelers and not that much spawn. I started looking through the uncommons and noticed the umbras and made those my starting point. Ulamog crusher stood out immediately in the commons so I set those aside as couple of strong candidates. Black was set aside first with the idea that I might splash if necessary. It had some decent cards like last kiss and induce despair but the volume was so little I knew it wasn't going to be worth the bother. I then ruled out blue for lack of anything exceptional as well. Red had some nice removal: A Forked Bolt, Staggershock and two Heat Rays. That became another splash candidate. White had some good levelers, dawglare invoker and mammoth umbra. 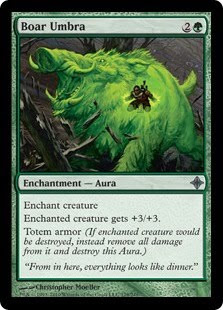 Green had a snake umbra, a boar umbra, Beastbreaker of Bala Ged, and some means to fetch mana for splashing. I ended up going white/green and then added red for removal options. I wanted to get the Ulamog crusher's into the deck but ended up having to cut them because my curve was so low (and therefore the number of lands I was going to run). I created an underwhelming deck with zero rares. 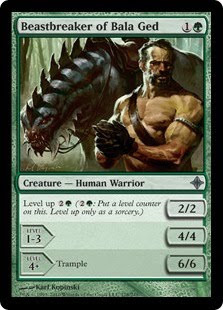 This deck has a number of inexpensive creatures that can level up, 3 umbras, and 2 growth effects. I has some neat finishing options wtih the invokers and also a aura gnarlid which can be a bomb with the umbras. I had some burn spells and a couple of heat rays to take out big guys, but really my primary strategy here were to just run people over with evasion as fast as possible. Not exactly great. I think I could have done some cards a bit differently. I left some decent stuff in the sideboard but nothing stands out as obvious that I should be running instead. I think the decks biggest weakness isn't it's lack of rares but rather it's mana base. 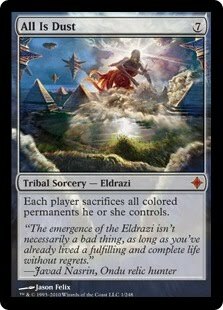 But honestly I think running all 3 colors is too important and ditching white or red would weaken the deck considerably. 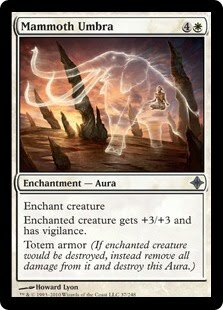 0 Response to "Limited Magic: ROE Sealed, The Pauper Deck"